Welcome to the seventh edition of AI Roundup - your fortnightly newsletter on AI. 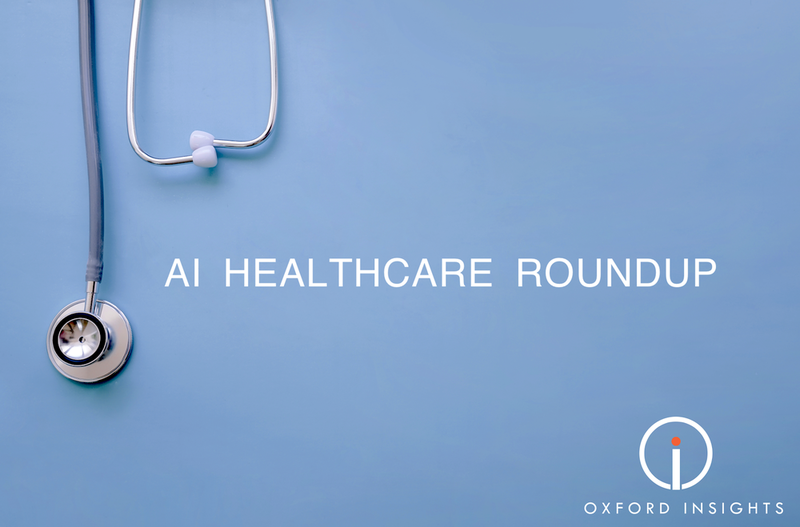 This week we have compiled an expert healthcare special edition, containing a more specialist selection of important pieces on AI and healthcare (missed our previous healthcare selection? Click here) - brought to you this week by our researcher Maximilian. A UK Government minister has called for a ‘profound rethink’ of the ethical frameworks around using health data as the technology begins to delve ever more into patients’ personal records. Health officials are increasingly trumpeting the potential of machine learning (ML) to transform medicine, from speedier detection of eye disease to better care for those with complex health needs. AI needs doctors. Big pharma is taking an AI-first approach. Apple is revolutionising clinical studies. This report looks at the top AI trends reshaping healthcare. Healthcare is emerging as a prominent area for AI research and applications. Nearly every area across the industry will be impacted by the technology’s rise. An independent review panel has said Deepmind Health should be ‘more transparent about its business model’ and explain how it makes its money. The panel was created in 2016 when Deepmind Health was established. Its members meet quarterly to ‘scrutinise’ the company’s work with the NHS and publish an annual report outlining their findings. AI driven by ML algorithms is a branch in computer science that is rapidly gaining popularity within the healthcare sector. Recent regulatory approvals of AI-driven companion diagnostics and other products are glimmers of a future in which these tools could play a key role by defining the way medicine will be practiced. Education the next generation of medical professionals with the right ML techniques will enable them to become part of this emerging data science revolution. AI technology has taken even longer to permeate through to the world of surgery, partly owing to the complex nature of interaction with human tissue at the core of the specialty, but also because of a perceived lack of necessity, evidence and awareness of the potential capabilities of computational approaches in surgical practice. AI is, however, advancing rapidly, and at a pace that is difficult to ignore. The current vision is one of augmented surgical practice to complement rather than replace human skills, particularly in two broad areas: surgical decision-making and operative surgery. With the Information Age, a shift in workflow and productivity similar to that of the Industrial Revolution has begun, and surgery stands to gain from the current explosion of information technology. However as many emerging technologies, the true promise of AI can be lost in its hype. It is, therefore, important for surgeons to have a foundation of AI knowledge to understand how it may impact healthcare and to consider way in which the may interact with this technology. This review provides an introduction to AI by highlighting four core subfields - (1) ML, (2) natural language processing, (3) artificial neural networks, and (4) computer vision - their limitations, and future implications for surgeons. An enormous figure looms over scientists searching for new drugs: the estimated US$2.6 billion price tag of developing a treatment. A lot of that effectively goes down the drain, because it includes money spent on the nine out of ten candidate therapies that fail somewhere between phase one trials and regulatory approval. Few people in the field doubt the need to do things differently. Leading pharmaceutical companies believe a solution is at hand. The interest in AI-driven solutions for early stage drug discovery is growing steadily among biopharma leaders with a projected market volume reaching US$10 billion by 2024 (for AI-based medical imaging, diagnostics, personal AI assistants, drug discovery, and genomics). The last couple of years were marked by a wave of new R&D collaborations between key biopharma players and AI-driven companies, primarily startups. Let’s see who is doing what in the biopharmaceutical AI landscape. Sign up with your email address to receive news and updates about global AI news straight to your inbox. We respect your privacy and won’t pass on your details to any third parties.